This is pretty funny, Gary Neville seems to climax as Fernando Torres scores against Barcelona in the Champions League semi final. Check these out! 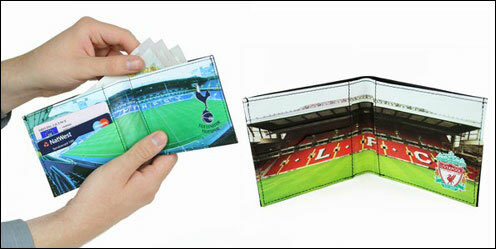 Football Stadium Wallets! With sleeves for cards and a full width pocket for your notes you can’t go wrong with this well designed wallet, whether as a gift for a fan of the club or you quite fancy one yourself – your mates will be envious! This wallet comes beautifully presented in a black crested box which is felt lined with the football club’s primary colour. Want to be one of the first to get your hands on the new Chelsea Home Kit?